FCG Truck Driver Training School, located in Byron Center MI, is Michigan’s leading truck driver training school. Our brand new, five acre campus opened in 2017 and is conveniently located right off US 131 just south of Grand Rapids. 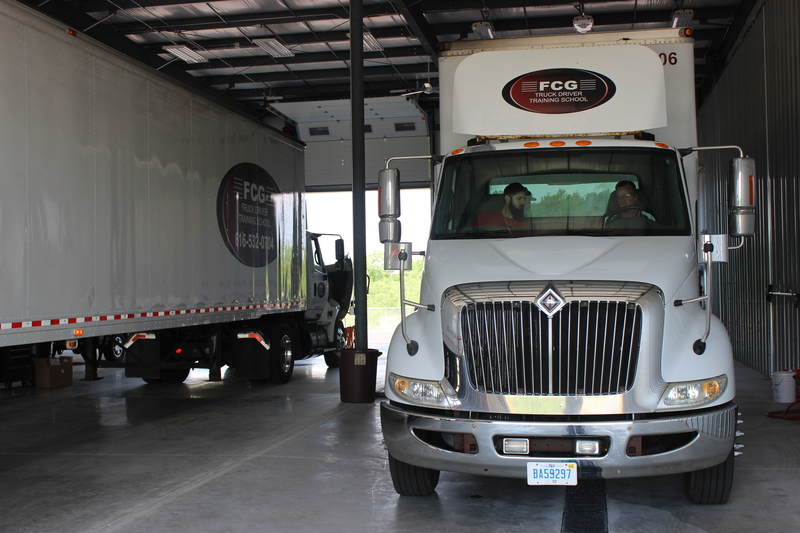 FCG Truck Driver Training School is recognized in the industry because of its state of the art facilities and equipment. More importantly than a world class facility, FCG Truck Driver Training School is known as having highly skilled and knowledgeable State certified instructors with experience that equals or surpasses any other school in the State of Michigan. Unlike most competitors, FCG is proud of its commitment to training our students on the importance of defensive driving. That is why we offer a complete and comprehensive defensive driving course. Which truck driving school you enroll in does make a difference. That’s why we begin with the end in mind. Experienced career counselors start your new career path by discussing job placement opportunities even before you start classes. With truck driving positions in such high demand, it is comforting to know that in many cases, you just may have a job before you graduate. If you are a resident of Manistee and are seriously considering a career as a professional truck driver, look no further than FCG Truck Driver Training School.